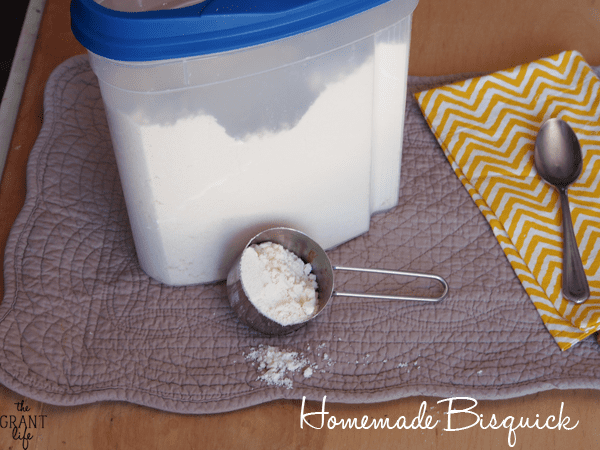 Try this homemade Bisquick and ditch the boxed version! As much as I love breakfast foods, I’m just not a morning person. Most mornings, while the coffee is brewing, Ryon starts breakfast. He normally cooks bacon and eggs or makes a hash, but some days he whips up pancakes. The kids get really excited on pancake day. [So does mama.] Since me and mornings don’t get along to well, I decided to help in another way. 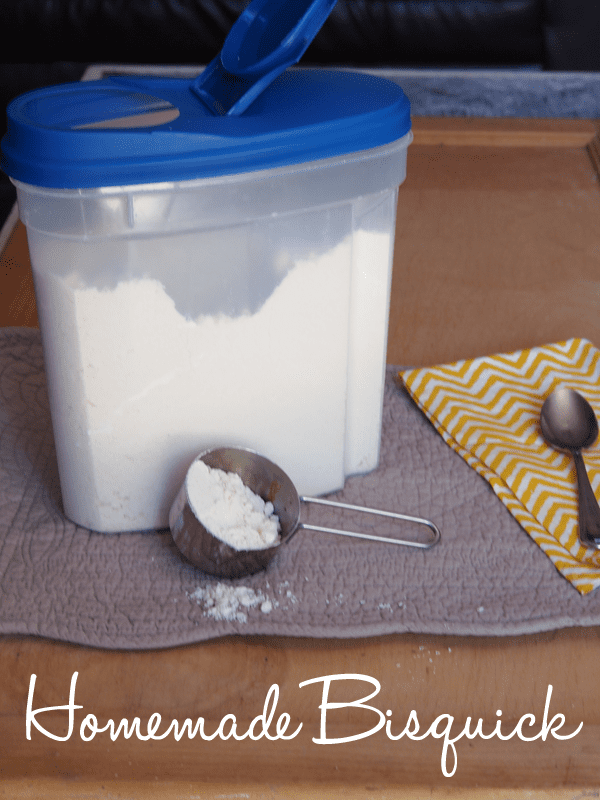 I whipped up a batch of homemade Bisquick mix to help make pancake days even better, for everyone! Ryon makes his pancakes from scratch and they are amazing! So light and fluffy and toasted with butter on the outside. Seriously, I think he’s a pancake master. [Pancake master maker? Master pancake maker? Eh, they all work.] But when hes done with pancake making, he tends to leave a mound of dishes behind. Its like he uses a different dish for every ingredient. I can’t really complain though. He makes me coffee. And pancakes. Ok, I can complain a little. 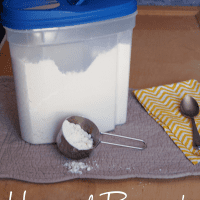 I’m hoping that this homemade Bisquick mix solves the pancake master’s pile-o-dishes since you only need one bowl to mix the ingredients together. And on days when I wake up early [ha! 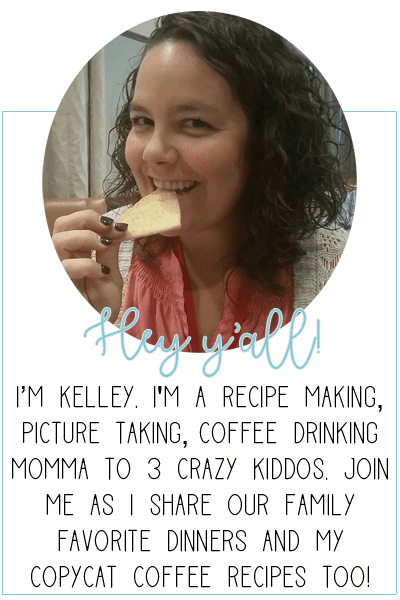 ], then I know what to grab to make a quick breakfast for everyone. So it helps with less dishes and with quick breakfasts in the mornings. This mix is more then tasty, its a family problem solver! [It must be a magical mix.] Now if only it could make us coffee.. Combine all the dry ingredients and mix. Place them in a food processor along with the chopped butter. Blend for about 2 minutes. Remove from processor and place in an air tight container. I can’t wait to try this, thank you. My pleasure! Let me know how you like it Debra! How long does it stay good? Does it need to be refrigerated? Oooh, pancake mornings are the best! And Ryon sounds like a gem–as do his pancakes. Can’t wait to try this mix out! Ok, this may be a completely ridiculous question, but what is 1/6 cup? Very useful information! I just made bisquick chicken pot pies tonight- I’ll have to use this recipe next time we run out of bisquick (which is quite often)! Given the butter in this, does it need to refrigerated? If not, how long does it keep? How long do you cook the biscuits and on what temp? Thank you!! I don’t buy bisquick anymore because of the price!! But I love it and can’t wait to try this!! Thanks for sharing. Pinning! !